The pace is sometimes all over the place and the hand movements for magic look a bit funny/weird at times but the special effects overall look great and the cliffhangers were nice, especially the ending of the pilot was awesome. Like what I've watched so far with one exception; I'm not very keen on how the lead male character is being portrayed/acted. I can see they're trying to make him appear vulnerable and "innocent" with a "destiny" (a sort of modern day Frodo) but, sometimes, he just comes across as dithering and unsure. Awesome twisty episode (ep 4). This show is interesting. Kind of interesting, worth watching if you got excess free time, but wouldn't recommend, more of a "background" show when you do other things for me. EDIT: my post is a bit contradictory, that is because my feelings about this show are too. I like it so far, all episodes felt different, especially the 4th ep was great. Some funny scenes again. The writers and actors and whatnot are clearly having some fun with this series. I've had some doubts about this serie, but the ending of that last episode won me ever. This is evolving in a nice direction. So excited for the next season. This show is ridiculous and frankly, I don't think it's the best out there but I am thoroughly entertained by it. I liked the idea behind this show and the world/universe it was building but I couldn't stand the winging, whining, main character. He spent most of the series miserable and feeling sorry for himself; I just wanted to give him a good slap across the back of the head and tell him to "get over it". The other characters were very good though. I actually like the atmosphere there and it is not the production of some Teenie Series. It is really mature. But you need give at least 6 episodes to understand the plot, because the beginning is a little bit confusing. So you need time to understand the story about the witchcraft. I am curious about the next season. It is really mature. But you need give at least 6 episodes to understand the plot, because the beginning is a little bit confusing. So you need time to understand the story about the witchcraft. 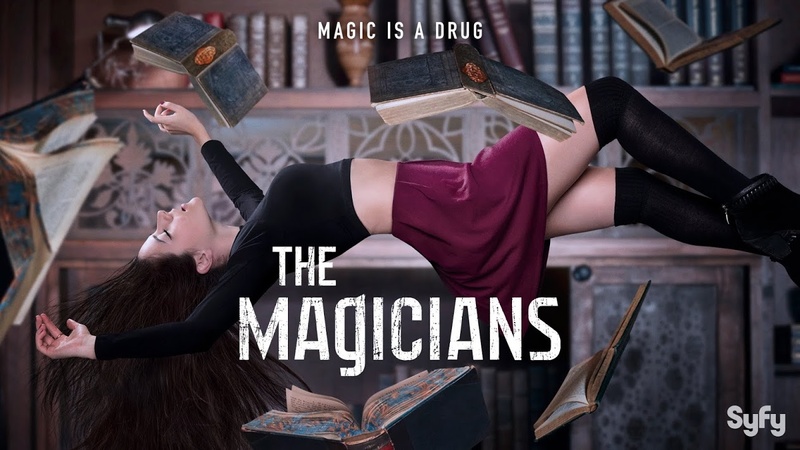 Yes, https://next-episode.net/the-magicians-2015 is really great! The first few episodes felt a bit weird, but then it all came together. I'm watching S03 now, and the combination of humor, magic and surprising twists is really unique. And S04 is starting soon, yay! It wasn't the singing that I enjoyed about the episode, it was the content. @ Lollie: I see... for me it wasn't just about the singing, but in the previous 'episode with singing' the content did better fit the singing IMHO. But tastes are different. Absolutely! I'm not into singing shows, I just love it when they hit on some relevant topics and nail them. Yeah. Not into singing shows either, but that older episode was really, really good. Some day I'll have to look up which one it was and rewatch it.